These Hollywood stars don't take their accessories lightly! 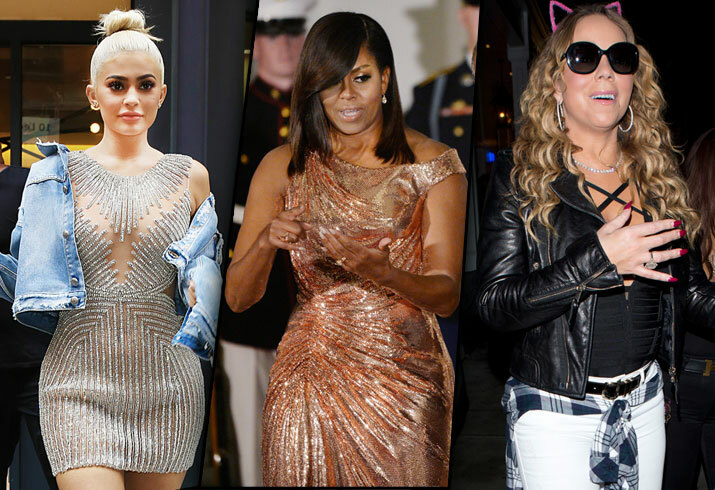 Click through the gallery to see who wore some showstopper pieces in 2016. She may be single again, but that hasn't stopped Mariah Carey from flashing her $10 million engagement ring that she got from ex James Packer. Looks like she’s planning on keeping it, too, wedding or not! Sandra Bullock’s love life with hunky photographer Bryan Randall may already be in the spotlight, but when she stepped out in September wearing a sparkler on her hand, rumor was these two may be heading down the aisle soon. Before Cara Delevingne and St. Vincent's split this year, the supermodel posted a selfie in July that called attention to the heavy diamond resting on her ring finger. Kim Kardashian’s Paris heist hasn’t spooked Kylie Jenner from stepping out draped jewels. The 19-year-old reality star was spotted in New York City showing off her glamorous diamond dress. Michelle Obama’s gown at the 2016 State Dinner was definitely turned some heads this year at the White House State Dinner. Do you want to match the First Lady's rose-gold look? These Le Vian earrings are a gorgeous choice!